Receiving Digital Assets from your family and friends can be done with just a few taps. 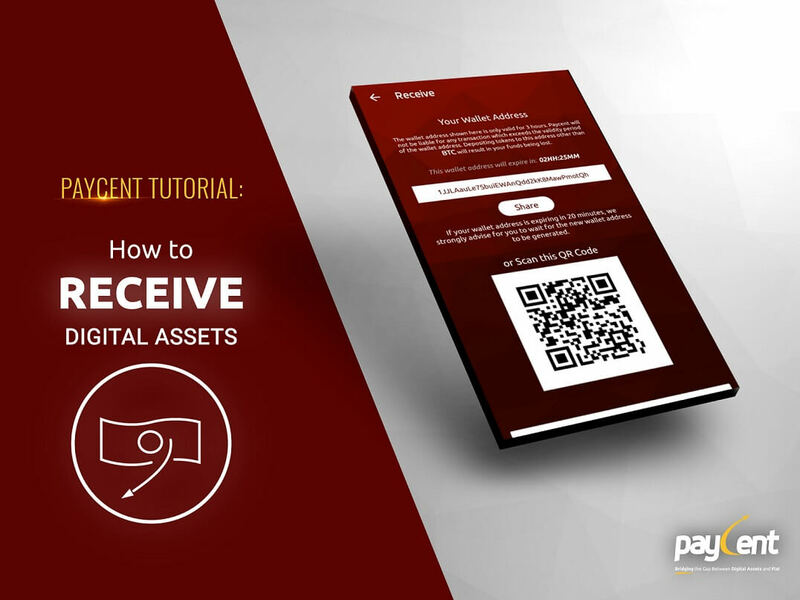 You can share your wallet address or QR code to Receive Digital Assets from Paycent and non-Paycent users within your country or outside your country. 1. Login to your Paycent account. 2. Tap “Digital Wallet” tab then “Receive” icon from the dashboard screen. 4. If your wallet address is expiring in 20 minutes, we strongly advise for you to wait for the new wallet address to be generated. Note: The wallet address shown on your receive screen is only valid for 3hrs.